Three Welsh universities have been given more time to consult on merging. Education Minister Leighton Andrews said he made the decision after Cardiff Metropolitan requested more information on plans to join with Newport and Glamorgan universities. The merger was recommended in a review last year, but Cardiff Met stated in July it would stand alone. The university said it wanted evidence the proposals were not "unnecessarily high risk and high cost". Mr Andrews launched his proposals for the future of higher education in Wales in November 2011, saying he wanted "strong" universities. Under the plans the three universities would join forces to create a new university for south east Wales. Newport has agreed to merge with the University of Glamorgan. But the board of Cardiff Metropolitan University, formerly Uwic, subsequently voted 13-1 in favour of staying as an independent institution. 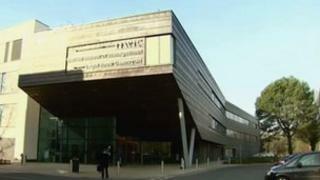 It said it aimed to be in the top 10 of new UK universities within five years. In a statement issued on Wednesday, Mr Andrews said Cardiff Metropolitan had asked the Welsh government for substantially more information relating to the case for the three-way merger. Mr Andrews said he believed all consultees affected by these proposals already had "sufficient information available to them to respond meaningfully to the consultation process". But he added: "In the interests of fairness, I have asked officials to make available to all parties to the consultation the information requested as quickly as possible. "I also propose to commence a further 12-week period of consultation from the date on which the information is provided." Cardiff Metropolitan confirmed that it had requested further information. "For a year, the university governors have been seeking evidence on the recommendation for reconfiguration of the sector in south east Wales, and the subsequent option to dissolve Cardiff Met," said the university. "In addition, the university is still waiting to receive any evidence that the reconfiguration proposals are not unnecessarily high-risk, high-cost options." The university said that without evidence it was impossible for its governors to make an informed decision on proposals that affect staff and students for years to come. "No right-thinking organisation would make a decision of this magnitude without such evidence," it said.